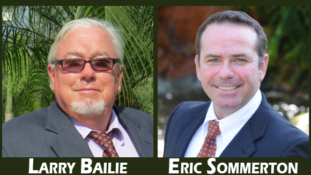 Team Bailie is often asked, “What is the difference between a trust sale and a probate sale?” Both instill that the owner of the home is deceased and the estate is now selling the home. The difference in the two boils-down to one question: Is the Court involved? If so, we are dealing with a probate sale. The simple method for the seller is to sell the home through a trust sale. Smart homeowners place their home into a trust so that when they pass away, the plans for the home, as part of settling the overall estate, are easily addressed by the instructions of the trust. The trust enables the estate to bypass the court system. In a trust sale, there is typically one trustee who has the authority and determination to sell the home. In some cases, siblings may be trustees. The more trustees involved can mean a more challenging decision-making process. Team Bailie deals with these challenges behind-the-scenes, kept well from the buyer. Trust sales are rarely frowned-upon by a potential buyer because a trust sale does not require special action on the part of the buyer. See our Probate/Trust Glossary of Terms.